x10 Silver Sparkle Glitter Mouse Ears Charms Dummy Clips - Top Seller! 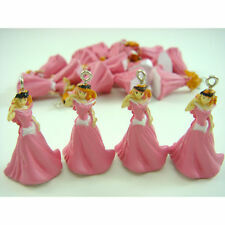 Made of high quality material (use for Bracelet, Necklace, Phone strap, keychain, Earrings, etc.). . 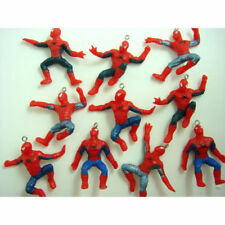 You will receive 20 x Mixed Opaque Acrylic Key Pendants. Mixed Acrylic Keys. (except weekends). Quantity: 30Pcs / Set. Color: Mixed. Material: Acrylic. 15 x mixed charms. 1p to show scale. 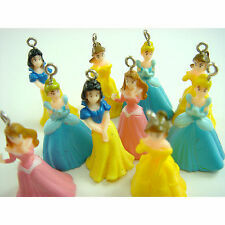 15 x Mixed Bottle charms. 1p to show scale. Finish: Glitter. Colour: Blue. The more you buy the more you save! Mixed Colours: Others are available. Thickness: 0.5cm. 100 x 7mm Alphabet Letter Beads-Mixed Colour - PA01. Alphabet Acrylic beads. 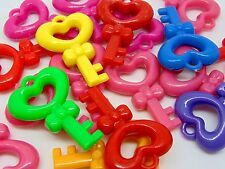 100 - 7mm Acrylic Letter Beads. App 4 of Each Letter (NOT just random). 100 mixed letter beads per order. Flat Round, Multicolor. 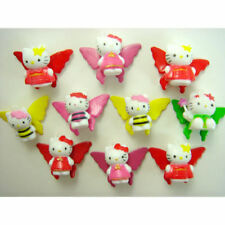 Quantity: 100Pcs / Set. Material: Acrylic / Plastic. Color: Mixed. Random Mix Bead Colour: Mixed. Bead Shape:: Barrel. Add to Favourites. Check out the rangehere. Country Of Origin: United States. The more you buy the more you save! 1X(Condition:100% New. Note: Light shooting and different displays may cause the color of the item in the picture a little different from the real thing. ). Finish: Glitter. Colour: Black. The more you buy the more you save! Colour: Pink and Blue. Add to Favourites. Finish: Transparent. The more you buy the more you save! Bead Colour: Chocolate Brown. Bead Shape: Bear Shaped. Mixed Beads The more you buy the more you save! Bead Colour: Mixed. Mixed Beads Bead Shape: DollyShaped. Bead Size: 2.5cm. The more you buy the more you save! Add to Favourites. These are a set of 40 Crimson Maple leaves in frosted acrylic. 100 x 6mm Silver Colour Alphabet Letter Cube Beads-SB6. 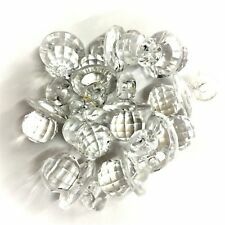 100 - 6mm Acrylic Silver Colour Letter Beads. 6mm beads - 3mm hole. 100 mixed letter beads per order. (4 of each letter approx). with black lettering. : 12mm width, 12mm lenght, 6mm thickness, 1.5mm-2mm hole. 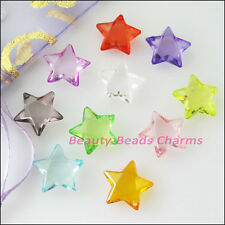 Quantity: 100 charm beads per bag. Color: Mixed Color. Material: Acrylic Plastic. Color: Mixed. Length 17.5mm. Colour: Baby Blue. Finish: Transparent. Add to Favourites. The more you buy the more you save! 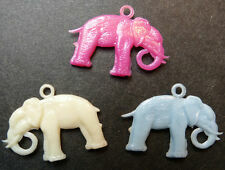 Mixed Jewelry Making Craft PVC Charms, for Loom Rubber Bands, Mixed Color. 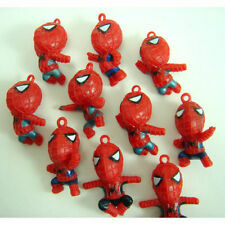 Size: about 16~25mm long, 16~26mm wide, 2~3mm thick, hole: 1~2mm. 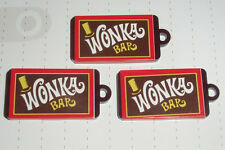 They are suit for all kinds of necklaces, bracelets or key chains. Quantity: 20Pcs / Set. Color: Mixed. Material: Acrylic. Quantity: 35Pcs / Set. Color: Mixed. Material: Acrylic. 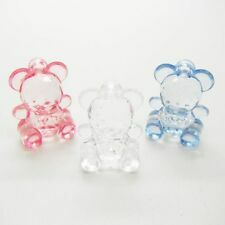 Acrylic Pendant Bear in a T-shirt. We hope you will find everything you need to be able to create your unique, handcrafted products. 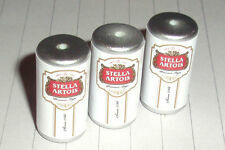 size cca 23 mm. 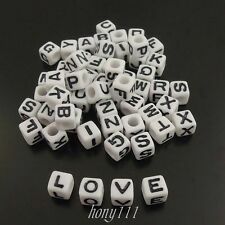 100 x 7mm White Mixed Alphabet Letter Beads - WA01. (app 4 of each letter - NOT just random). 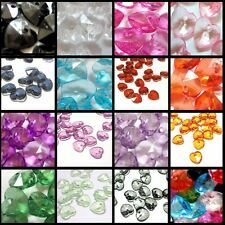 100 mixed letter beads per order. 100 - 7 mm Acrylic White Letter Beads. Plasti c white beads with black lettering. Mixed Colours: Yes. Colour: Baby Blue,Baby Pink,Blue,Green,Pink,Purple,Red,Yellow. Finish: Opaque. Thickness: 12mm. The more you buy the more you save! Colour: Mixed, pink, blues and purple. Mixed Colours: Yes. Finish: Transparent. The more you buy the more you save! Finish: Transparent. Colour: White. Add to Favourites. The more you buy the more you save! Thickness: 19mm. : 10mm width, 10mm length, 4mm thickness, 1mm-1.5mm hole. Colour: Mixed Colours. Made of high quality material (use for Bracelet, Necklace, Phone strap, keychain, Earrings, etc.). 1" or 2.5cm (H) (1"=2.5cm). Quantity: 100Pcs. 【Pet Supplies】. Color: Silver. About color Size: 8-22mm/0.31-0.87". Condition: 100% New. ★ We will reply you ASAP. There are slight difference between the picture and the real item caused by light brightness,hope you can understand. Quantity: 25Pcs / Set. Material: Acrylic / Plastic. Color: Mixed.